Books like Jimmy Nelson's are important because they highlight the inner battle that occurs when consuming content that is simultaneously problematic and enjoyable. On the surface, this book captures breathtaking images that delight the imagination and the eyes. Yet, it is also framed within the gaze of a man who is clearly very removed from his participants and their wishes- even using the word 'Eskimo' and referring to Māori as one tribe. In this post, Tarapuhi briefly highlights two areas of this project which she argues further contradict Nelson's claim that 'Before They Pass Away' is an "irreplaceable ethnographic record" by examining his inaccurate representation of Māori, and the issues of consent and exotification. Finally, she discusses why the perpetuation of such superficial images, narratives and tropes of indigenous peoples is not only problematic, but dangerous. Image from beforetheypass.com. Awks...I don't think anyone has informed Māori that Nelsons gaze causes you to go extinct. I would like to begin my post with an excerpt from an interview with the author of 'Before they Pass Away'-Jimmy Nelson. For me this excerpt made me think about the motivations behind his work, and the target audience for the project. This highlights and important influence on the framing of the project-it is produced for people who already have a shallow understanding of indigenous and tribal peoples, people not from these cultures, people with money and therefore power-possibly power over the groups represented in the book. Accordingly, Nelson has not included translations of his written pieces about each culture in the respective languages. The framing of this book is unnecessary and problematic; that the real context of these images is more beautiful than the way in which Nelson has packaged them; that if he had taken the opportunity to work collaboratively with the people he has photographed, as well as providing context of each group, his project could have been less problematic. For example, many of the photographs of Māori were taken at Te Matatini Kapa Haka Festival 2011. Te Matatini showcases Māori preforming arts; simultaneously representing 'traditional' and more contemporary symbols of Māori culture, as well as highlighting unique regional and generational traits in costume, language and performance. It is an empowering expression of indigenous agency and appreciation of the rich and complex nature of Māori culture. The context for the regalia that the individuals are wearing is not acknowledged at all in Nelson's photographs. In fact, he doesn't even acknowledge that that the photographs were taken at Te Matatini-only vaguely referencing a 'Gisborne festival' at the back of the book. By framing Māori in this way he removes all evidence of Māori agency and and instead frames them as a homogeneous 'Maori tribe' purely defined by material culture. Surely if he is attempting to provoke 'greater discussion' it is of upmost importance that this discussion is meaningful. Excah-use me? Who you calling endangered? 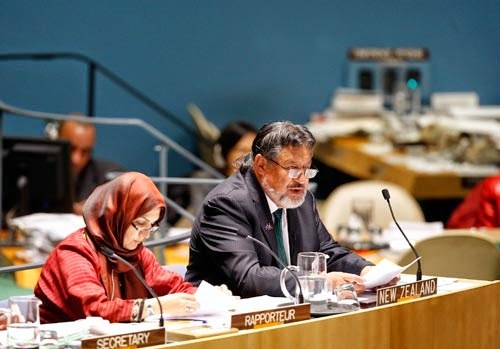 This is Hon Dr Pita Sharples, the Minister of Māori Affairs and MP for Tāmaki Makaurau. This was shocking for my Māori friend who turned the pages, seeing images of Māori from all over Aotearoa, cataloged by Nelson as 'the Maori Tribe', all framed within Nelson's warning of the inevitable demise of the groups in the book. The words 'before they pass away' now rang and new tune. "Aye! We are not dying out!". I would hope that most New Zealander's would also cringe at Nelson claiming that Māori are in an"inevitable decline". This experience proved to highlight that there is so much more to the people in the book than Jimmy Nelson has portrayed, and that we may be viewing other people through a similar lens to which he has framed his work. From what we in Aotearoa can see is misleading about Nelson's portrayal of Māori, it is easy to deduce that we cannot assume anything about the other people in the book. According to Sarah Pink, two important parts of conducting visual research is understanding the 'visual culture' of each society and participating in collaborative research. Therefore asking how the participant and researcher both perceive and understand image, photograph, and film. How can the participants collaboratively create and use the visual ethnography? Only by asking these questions can we produce useful and ethical visual anthropology. He has named Hon Dr Pita Sharples incorrectly. In the back of the book Pita’s photo is titled ‘Te Hiva Paenga’, which I am assuming is a misspelling of Sharples' step-son Te Hira Paenga. Māori are not one tribe. The information that he provides to contextualize the photographs is so minuscule that it looks like he just googled “define culture” and inserted the respective group. For example he states that the “Defining aspects of Maori traditional culture include art, dance, legends, tattoos and community”. No duh . "Ta moko had many functions: it was worn to fascinate, terrify, seduce, overcome, beguile, by the skin; it was carried to record, imprint, acknowledge, remember, honour, immortalise, in the flesh, in the skin; it was also affected to beautify, transform, enhance, mutate, extend the flesh, the skin, and the soul itself. It was, and still is, about metamorphosis, about change, about crisis, and about coping too; and for many contemporary wearers, the descendants of those first illustrated chieftains encountered by Cook, painted by Parkinson, Ta moko is a strategy too, a means of encounter, an expression of self." Nelson calls himself the "collector of truth'. However, if he has collaborated so little on the above statements, then can we expect that he conversed with his participants over the manner in which he was to frame them? The use of his book? The symbols that he would evoke to represent them? If such a prominent Māori figure, participating in a prominent Māori festival was not even named correctly, if Māori who are most definitely not on their way out of this world, or about to lose their cultural heritage, are portrayed this way- then we surely cannot assume extract informative ethnographic information about these tribes from the other photos. 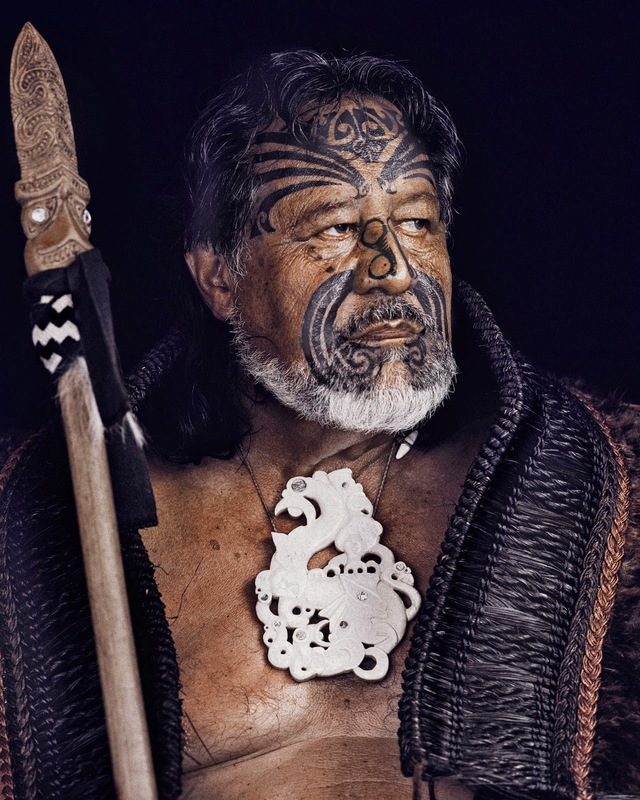 Again, I argue that the real context of these images is no less beautiful or inspiring- a Māori leader who confidentially moves through two worlds, who fights for his people and who is donning traditional clothing for a festival-thats powerful stuff. And yet it is the opposite of what Nelson is attempting to portray. Nelson has responded to similar criticisms when being interviewed by The New Zealand Herald. He says, "the project was looking for the last 'untouched' people. For the Maori, that's not the case, but their traditions and ta moko are still very much part of their daily existence...In a lot of parts of the world, such as America, they've lost all identity." First of all, no. Native American people, their identity, and their culture have encountered many obstacles-but are alive and thriving in many different places and in many different way. This video is dedicated to one of Nelson's inspirations Edward S. Curtis, who is also infamous for his colonial photography. Jimmy Nelson needs to take his ‘cultural authenticity police’ hat off. He does not and will never have the authority to evaluate the authenticity or purity of any culture except his own. Positioning Māori and the tangata whenua (people of the land or indigenous people) of America against each other is entirely uninteresting, irrelevant and damaging. Māori and the indigenous people of the United States and Canada have many important and productive relationships that need not be interrupted by his opinion being adopted by wealthy westerners. Second of all, in the book, Māori are not positioned as alive and thriving, so why include them at all if you think the opposite? The nurturing of Māori culture and identity is not a finished project, nor was it a journey without huge obstacles. At the beginning of the post I highlighted an incredibly important issue, which is that his work is intended to be consumed within a particular cultural context. The price of the book, the language used in the book, and of course the title of the book highlight the intended audience. It is intended to be consumed by western people with money. So what happens where these intentions intersect with the imagery and framing Nelson has employed? I argue that it fetishizes indigenous peoples by portraying individuals as objects- obscuring their humanity for the pleasure of the intended audience. In 'Crude, Cash and Culture Change: The Huaorani of Amazonian Ecuador' the authors describe the effects of the 'noble-savage' trope on the lives of contemporary Huaorani as they enter consumer society. They argue that by the stereotype of "indigenous people living in a so called “wilderness” as romanticised innocents in ecological harmony, isolated from the outside world, and uncorrupted by civilisation" strips indigenous peoples of their "contemporary challenges, responses, and opinions". A similar use of the 'noble-savage' image is used to frame Nelson's book. However, Nelson also includes photographs that, maybe unintentionally, evoke a more serious fetishization. I am specifically referring to photographs that, within the context of the intended audience, made me feel uncomfortable. I will not link examples here, but one particular example highlighted this sexual fetishization. It is composed of three pubescent-prepubescent Huaorani girls, bare chested, staged siting together in a hammock with what in the west we would identify as 'romantic lighting'. Within the context of their everyday lives this occurrence may be normal and void of sexualisation. However, the audience and consumers of these pictures are not the tribes people themselves. The framing of these girls as helpless, one dimensional, nameless, characters defined as a group and by their physical appearance is extremely problematic-especially within the context of the visual culture of the intended audience , and the minimal-zero amount of consultation Nelson has had with the participants. Personally, I think this photograph is creepy. The idea of wealthy western people who, as Nelson has said already have no idea about these peoples, their cultures and them as individuals, displaying these photographs in their homes, on their coffee tables, makes. me. cringe. This concern is made worse by one of the most popular mediums for viewing this images-the internet- and that indigenous women from all over the globe often experience the highest rates of sexual violence in heir respective population. One of the most important and challenging parts of conducting visual research is asking: how will others interpret you as the researcher? How will they interpret the way I have constructed my work? How might my research harm my participants, and therefore, can they provide meaningful consent? Mr. Nelson- Did these Huaorani children provide consent? Could their parents provide consent if they are not aware of the cultural context that these photographs will enter-the culture of the internet? Would you put similar images of yourself on the internet? Nelson removes indigenous agency and his project does not provide meaningful information, but aims to to induce pity and catalogue living people like they are 'endangered species'. Is it not more important to proliferate indigenous agency, to create space for cultures to thrive in the context of our time the way they want, or need to? I will end this post with the picture from the book, which I argue, is the most ethnographically rich of them all. 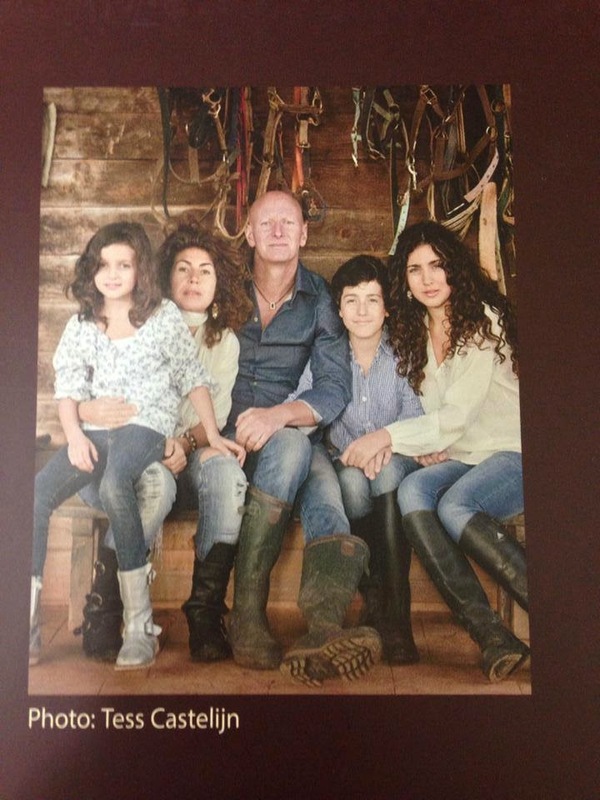 When contrasted with the rest of the book, Nelson's portrait of his own family photograph proves to be an interesting contrast of fully clothed, intimate, loving, individuals. 1. Quoted in Peter Buck (Te Rangi Hīroa), ‘The passing of the Maori.’ Transactions and Proceedings of the Royal Societyof New Zealand 55 (1924), p. 362.